As spring is just around the corner, our popular cake Romance has a new fresh and floral look. Curd-cheese and raspberry cake with cocoa biscuit base and crispy wafer sprinkles. 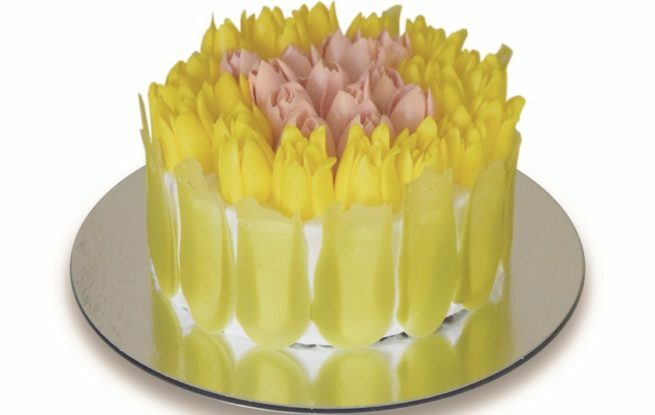 Decorated with buttercream tulips.